Though studies talk about declining job opportunities and shrinking white collar class, Public Affairs jobs are obviously on a rising platform. The present development scenario depicts technological advancements and startups being nurtured with utmost care. Beyond brains of innovations, there is also a huge demand for those who have a good knowledge over the concerned laws and government regulatory. With a lot of development projects in the pipeline, major hu rdles are always faced during the implementation stage. These hurdles basically sprout from the regulatory framework. An expertise to trespass these hurdles is as important as the innovation. Communication plays a major role in the functioning of regulatory authorities. With every communication in papers and every stage involving legal formalities, an expert to deal with the situation is unavoidable. There’s always a demand for tactical approach to be followed to avoid controversies and issues while handling regulatory bodies. In a country where laws remain the barricade and lawmakers the by passers, a specialist with knowledge on the government scenario and concerned rules and regulations is a necessity. Companies adopt technologies as well as experts to work with innovations, but most important person for any institution is an expert to navigate through public affairs matters and the legal side. 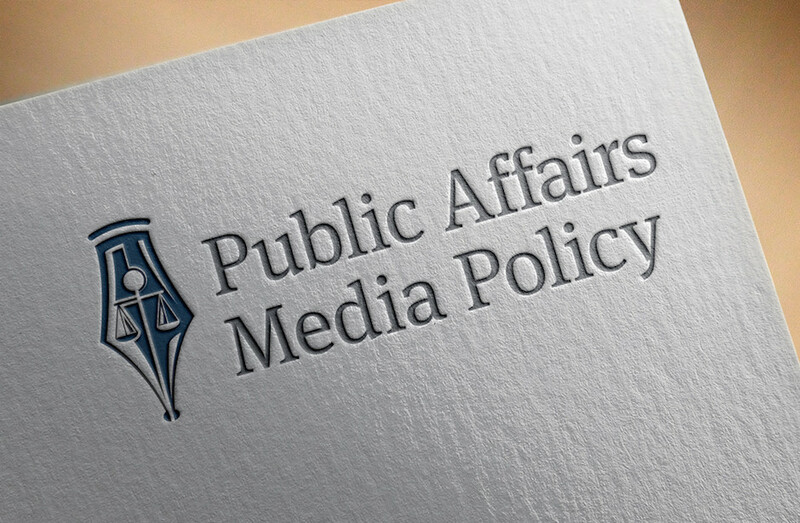 Without public affairs team an initial hurdle can turn into a huge crisis and end up tarnishing the company itself. An expert advice would not only clear the permits but also guarantees a trust label for the company. Public affair consultants are on demand by startups as they face more difficulties into enter the industry. So as the startup friendly environment prevails in the country, PA jobs would be on hike. Thereby an expert in the field could expect new ventures in the upcoming years. A long challenging journey which could be exhausting went like a breeze for Naveen, when a stray dog whom he later named Malu joined the devotee on his walk from Mookambika temple in Kollur, Karnataka to Sabarimala in Kerala -the abode of lord Ayyappa. The incident followed, reminds us why dogs are called a man’s best friend. 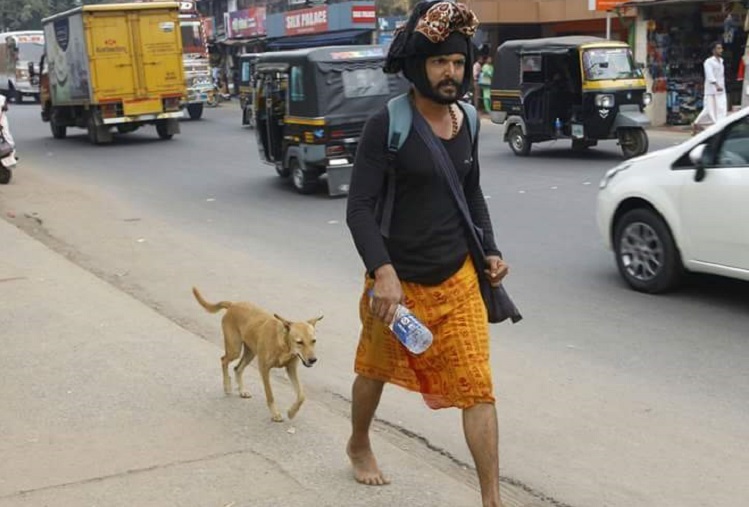 38-year old Naveen from Kozhikode district in Kerala was accompanied by an extraordinary dog who undertook a 600-kms journey, which is 17 days trip on foot to Sabarimala. At first Naveen tried to shoo the dog away but Malu was adamant on accompanying him to his destination and throughout she guarded his belongings like a helpful companion. The journey earned her the name – Malu, which resembles “Malikappuram”, a term used to address female Sabarimala devotees. Naveen made her wore a black belt and Rudraksh necklace around her neck and allowed to follow him to Sabarimala. After reaching the temple, Naveen lost Malu, but soon he got informed from the fellow devotees that she had been waiting for him on the stairs leading to the shrine for one and a half days, sniffing every devotee passing by. The reunion was even more memorable, when Malu joyfully jumped at Naveen when he arrived. While returning, Naveen took special permission from KSRTC special officer to make arrangements to bring Malu back home with him. Malu now has a large cardboard box that she calls her home in Naveen’s house in Beypore, Kozhikode. And also wears a brown-beaded necklace around her neck to remind herself and all those around her of her incredible journey. Pets are the most adorable companions a person could have in life, and among these dogs are known to be the most loyal. The story of Malu and Naveen conveys the same. A stray dog who walked 600 Km to a shrine to keep the pilgrim company and finding a forever home, will make every one smile and reaffirm once faith in the loyalty of animals towards human beings. It’s indeed a whiff of fresh air, when the state is gripped with the fear of stray dog’s terror on the door. Have you ever thought of taking up the laymen’s vehicle, Rickshaw, from Kerala to Rajasthan?? A big No, Right!!.. The UK based adventure company has again come up this year with the Rickshaw Run, a 3 –wheeler run from Fort Kochi, a water- bound region towards the south-west of the mainland Kochi to Rajasthan. The adventure race with charity in mind started from Fort Kochi and will end at Mount Abu, Rajasthan after a two weeks’ time. A total of 82 autos are taking part in the event and in this 35 participants are Ladies. The participants representing 29 countries shall be riding, rolling and wiggling their way across in their tinny steeds covering approximately 26,000 on their way to Rajasthan. What makes the journey even more memorable is the fact that the amount collected during this 12 days trip will be used for a noble course. For many of the participants it will be their first experience – whether it’s travelling to India, driving a rickshaw or just experiencing the enthusiasm and love that the people of our country are so famous for. However, the brave team members from around the world have gathered in Kochi, for the carnival and met their marvelously painted rickshaws. After a magnificent celebration to mark the beginning of the New Year, they are about to embark on an epic journey to the vast desserts of Rajasthan. Kerala has always been in the forefront in extending its support to the transgender community. With many historic and path breaking steps the state itself has played a key role in removing the social stigma associated with the third genders. 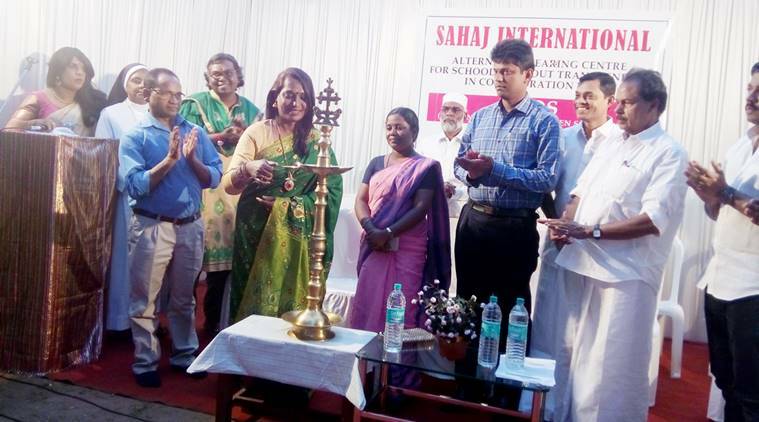 Being always a model state in literacy, Kerala now opened country’s first transgender school; named Sahaj International School. In this epic move, the school was opened in Thrikkakkara, Kochi. It is the first residential school in India to open its doors exclusively for the adults, who dropped out of schools after it was found that they belong to the transgender community and faced discrimination in society. The school aims at educating the third gender individuals so that they would also be an eligible community to work in various fields. The school is run by transgender for the transgender community. According to the authorities, school aims to provide safety, sustainability and security to third genders. It also aims at ending the discrimination towards the transgender community. The curriculum also offers vocational skill development training along with traditional curriculum which would further help the third gender individuals to get employed and treated as ordinary citizens. Even though various organizations including Kochi Metro have offered job opportunities to transgender, their lack of education would always be a hindrance. Educational projects like Sahaj International School would enable the third gender individuals to lead a normal life with dignified jobs. Through this school, the third gender community could also maintain an independent financial system along with educational mechanism. The finance for the school is mostly from their personal savings and funds from social organizations and individuals. The teachers are also transgenders. As part of their independent venture, the authorities have also arranged sponsors for providing food, accommodation and school aids to students. These kind of ventures for the third gender community should be supported so that they could lead a normal life. Even when the state supports the cause, to some extend the society still frames them as “different”. Such projects should be initiated through government bodies, so that they are not considered different anymore. Indian villages are always portrayed as backward community by the media. Though the stereotype revolves around villages as agro-based economy, place of illiteracy and poor infrastructures; some villages of the country have completely changed this perspective. Within the country, we have worthy example to showcase the exceptional characteristics of villages. These villages have outnumbered even the major metros in the country with their excellence. Mahatma Gandhi said, “The future of India lies in its villages”. With the villages in the country becoming self-sufficient than the developed cities, the present developments and changes have evidently marked the future of India safe in the hands of villages. The aid and assistance provided to villages on developmental and innovative grounds through various government initiatives and programs have evolved a new culture among the villagers. This had truly made possible the new trend of positive outlook towards villages. After all, rural India is not a bad place to live in. On the grounds of developing villages, our 100% literacy state, Kerala have also made its mark. Pothanikkad, a village in Ernakulam district in the Indian state of Kerala , have unsurprisingly become the first village to achieve 100% literacy in India. This particular village has a very systematic education system, which made it achieve this recognition. Being part of the most advanced metro city of the state, the achievement by this village is of great prominence. With the most advanced educational institutions and IT hub in the proximity, this Pothanikkad village with the recognition of 100% literacy is the perfect example of self-sufficient rural India. Being the most educated and culturally advanced village in Kerala, Pothanikkad, provides better educational opportunities for youth through its pioneering educational institution from primary level onwards. Promising future generations could be nurtured from this village with more technological and innovative advancements through government schemes and aids. Such recognitions by small villages across the country would further encourage other villages to develop and also grab authoritative attention for further innovative, technical and developmental assistance. ResPublica Consulting bagged national award for Crisis Public Relations Management at the India PR and Corporate Communications Awards (IPRCCA) 2016, at New Delhi. The boutique agency, specialists in Public Affairs and Public Relations, was honoured for the exceptional crisis communication campaign it designed and implemented for an international gold & diamonds retail chain, outpacing leading global PR agencies and corporate communications departments of large corporates. 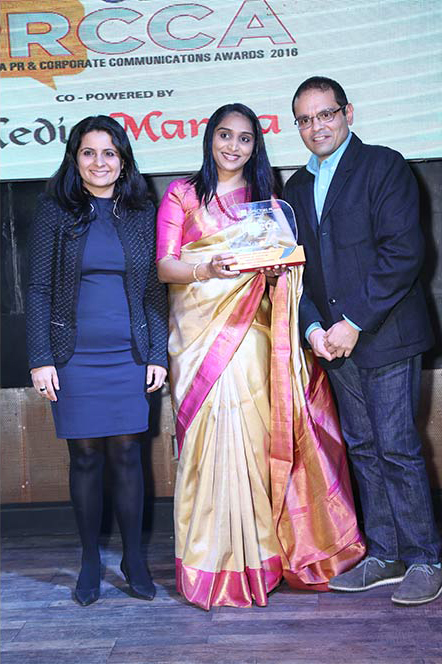 At the gala award night held at FLYP@MTV Café, Connaught Place, New Delhi, Lisna Ismail, Director-Operations and Nikhil Harindran, Senior Account Director received the award for ResPublica Consulting. Founded by corporate communications industry veteran Saji Varghese, ResPublica Consulting renders consulting services in Public Affairs, Public Relations, Crisis Communications and CSR Advisory and serves several global majors in the Southern markets. Group’s content vertical provides content and language services including translation and linguistic validation. The India PR & Corporate Communications Awards 2016, hosted by Exchange 4 Media, are the most extensive and exhaustive awards to recognise the contribution and success of the PR Industry and is considered as a path breaking initiative to salute and recognise the contribution of PR Consultancies and Corporate Communications. “IPRCCA 2016 actively discussed the growth of PR and Corporate Communications outside the metros, given the changes taking place nationally subsequent to the demonetization efforts, there is an emerging need of more process driven approach both in Public Affairs and Corporate Communications. Specialists agencies like ours making their presence felt loud at the national scape marks a new era in the Indian PR industry;” said Ms. Lisna Ismail, Director-Operations, ResPublica Consulting. Life is always unpredictable. For some people, life is meant for adventures, Passion, and dedication and thrill to make their dream real and amazing. A Road trip from Kerala to Holland covering 13,500Kms sounds crazy for most of us. But when I heard about this adventures couple Joerik and Pauline, I really felt amazed and proud for these lovely pair. Hailing from Netherlands they travelled all the way from Kerala to Holland in an ordinary van. They had many options to choose for their journey from Kerala the southernmost state in India to Holland. Checking out the craziest choices available, the couple finally decided for a road trip. It wasn’t an attempt to create records, but it was a journey to make an awesome book of memories which the couple wanted to cherish forever. It was a journey to travel to their hearts content and earn experience of a lifetime. Joerik and Pauline, who had been travelling for over six months decided to make India a long stopover and took a relaxing break in an Asharam in Kerala. It was during this break that they decided to return to Holland with their travel companion a 2004 model Mahindra Maxi Van. They never hesitated and were super excited to make it possible. The planning procedure started in parallel to their awesome trip as they gave away few hours of each day for some research online. They took all the details that could give them sound knowledge on buying a car, visa and to plan the route. They also spent time for collecting the necessities like gas stoves, bed linen, pots, and pans and also worked on crowd funding, Facebook page, logo etc. Travelling is a way of rejuvenating for some, for others it’s a lifestyle. I have come across lots of people who toil hard all their lives, save penny by penny and secure their lives post their retirement life. But there are people like these young couples who live life at the fullest like there’s no tomorrow. Joerik and Pauline crossed all the hurdles and enjoyed the beautiful climate, places they visited, their lifestyle, food and went into the nook and corners of the different nations for a total of seven months. Some people follow their dreams and prove that life could be lived to the fullest with adventure and passion. Joerick and Pauline is a true inspiration to the travelers across the world.